Smell fab all day long! 1. Apply perfume to your pulse points and warm areas: inside the elbows, on your wrists, behind your knees, below your midriff, on your ankles and calves. 2. Rub Vaseline: on your pulse points and then apply the perfume. The moisture from the Vaseline locks in the fragrance. 3. Spray perfume right after you take a shower: Your pores open up when you shower and so, if you apply your perfume right after your get out of the shower, your pores will soak up the scent better and it'll last longer. 4. 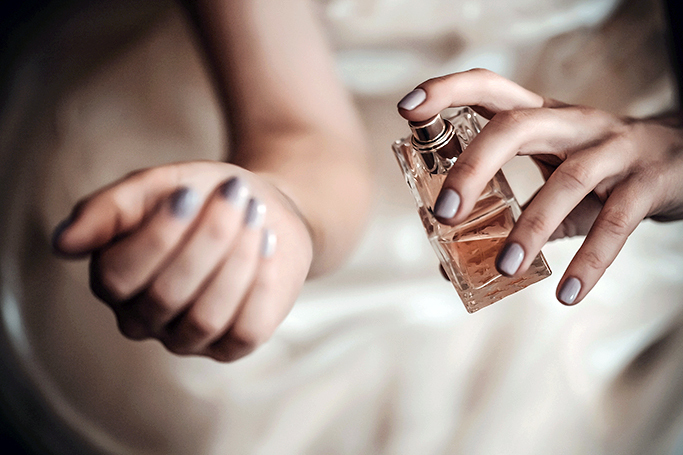 Don’t rub your wrists together after spraying perfume: Even though this is a common practice, it actually causes the scent to disappear faster. 5. Choose strong base notes: When choosing a perfume, choose the one with the strongest base notes as those linger the longest. Pine, patchouli, vanilla and musk are all notes that have been known to last long.